When you say the words “physical therapy” most people automatically assume you have had surgery. Yet physical therapy goes beyond post-surgical care restoring strength, endurance, flexibility and stability to people who have been injured, are in pain, or have experienced illness. Through therapeutic exercise, it is possible to have your function restored and live a life that is pain-free. Contact Partners in Physical Therapy to request an appointment and find out how we can relieve your pain. It may seem counterintuitive to exercise when you are in pain. After all, the last thing you want to do when you are uncomfortable is make yourself more uncomfortable. Yet when you treat pain with medication and rest, you are only allowing the supporting muscles to weaken, causing greater pain and less functionality of the area. A physical therapist is trained to evaluate your body’s function, strength and range of motion as well as your pain levels when you perform basic tasks. They can then create a customized treatment plan, including therapeutic exercise, that can strengthen weak areas, restore function to healing or surgically repaired joints, and reduce your overall pain levels. Not only can you experience a pain-free life, but you can also do so with greater strength and endurance than before. 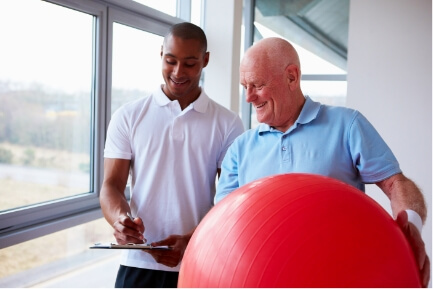 Still curious how physical therapy services and therapeutic exercise can help you? Let Partners in Physical Therapy conduct an evaluation and help you get on the road to recovery. For more information, contact us at Lake Charles, LA center.